Locomobile was one of the first big American automakers and the marque is a testament to the importance of the Stanley brothers in the history of the automobile. The publisher of Cosmopolitan magazine, John B. Walker, bought the design of the Stanley’s first steam car and put it into production. The Stanley brothers were General Managers until they left in 1902 to start Stanley, which would become Locomobile’s largest rival. The Model 48 was introduced in 1911 and it had a wheelbase almost 30 inches longer than that of a modern Chevrolet Suburban. The 8.6-liter straight-six makes around 48 horsepower. Most of the powertrain components were cast in bronze and the chassis was made of chrome-nickel steel – which helps explain why so few of these imposing automobiles survive to this day: scrap drives during the Second World War made these cars a lot more valuable in pieces than they did as a 20-something-year-old used car. This car was made using only the finest materials – the only thing, I guess, they could have done to make it even more over-the-top would have been to build it entirely out of gold and platinum – although it wouldn’t be quite so solid. This was about as grand a car as you could buy in 1919. And all of this grandeur will set you back somewhere between $60,000-$80,000. Which is a deal. For the complete description, click here. And for the rest of Bonhams’ lineup at the Greenwich Concours, click here. 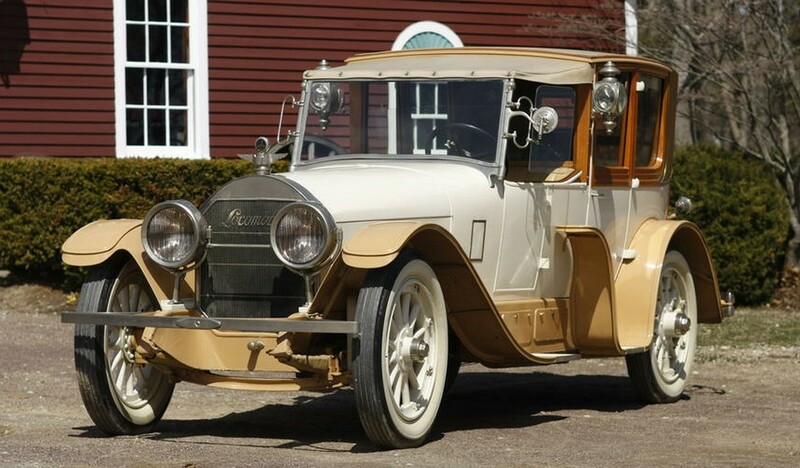 This entry was posted in Uncategorized and tagged 1919, 6-fender, auctions, Bonhams, cars, classic, classic cars, locomobile, model 48, town car by classiccarweekly. Bookmark the permalink.